Introduced in 2015, the Award ceremony will launch the 4th IMF. Re-Actors were founded in 2014 and originally functioned as an informal Theater Group. 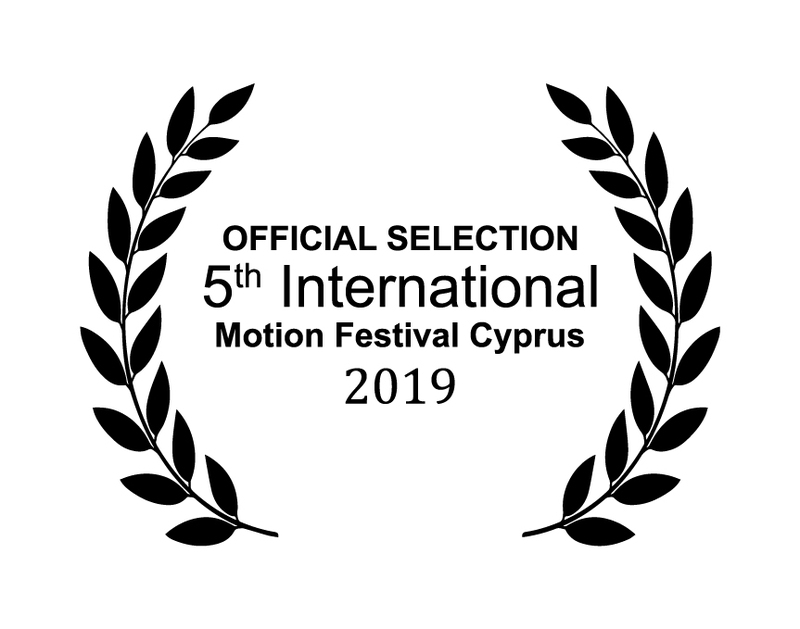 Debut of the Group, was the awarded by Cyprus Theatre Organization comedy “A crazy family”. Since 2015, Re-Actors passed under the roof of Re-Actors Production & Art Studio, under the Artistic Direction of George Savva and Vassilis Hadjistyllis. Re-Actors have put high goals, mainly refer to production, development and promotion of cultural product, associated with the four performing arts: Theater, Cinema, Music and Dance. Re-Actors staged with great success in 2016, the comedy of Michalis Reppas and Thanassis Papathanasiou “Two and a half murders and a bulldog” and participated at the 29th Festival of Amateur Theater of Cyprus Theatre Organization, winning The First Prize for George’s Feydeau comedy “Hotel Paradise”. At the same time, they created the short film “Fugue”, which will compete in the 2017 Local and International Film Festivals. During the Cultural Year 2017 are planning two new theater productions: the comedy of Demetris Psathas, “Fon Dimitrakis” this May, and the comedy of Aristophanes “Women In Power” in October. In addition, new filming actions are being planned by the Cinema Workshop and by the Cinema Group. In their new space in Nicosia, the Acting Workshops are being conducted for adults, adolescents and children by professional actors, as well as the Cinema and Theater Writing Laboratories, the Groups Rehearsals and various seminars on the four performing arts. All Groups of Performing Arts, which operate under the Re-Actors, symbolically bearing the Greek name “Anti-Drontes” (in greek the word means “those who react”) acting against decay, misery and loss of any value, within our times. Grand vision of Re-Actors is the authentic human contact, through the collective, dialogue and transcendent power of art, which flourished especially in times of crisis. Art flourishes and is the only safe way to man so as to redefine its relationship to things, to others and above all to himself. Vassilis Hadjistyllis was born in Nicosia in 1984. He studied Byzantine and Modern Greek Literature at the University of Crete and Dramatization of Literary Texts at the University of Cyprus (Master of Arts University). In 2011 he was awarded with the first playwright prize by Cyprus Theater Organization for his comedy “A crazy family”. 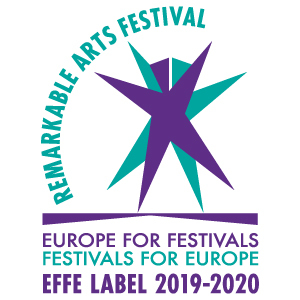 In 2014 he founded with his partner George Savva Re-Actors Production and Art Studio, an organization mainly refer to production, development and promotion of cultural product, associated with the four performing arts: Theater, Cinema, Music and Dance. All Groups of Performing Arts, which operate under the Re-Actors, symbolically bearing the name “Anti-Drontes” (in greek the word means “those who react”. Vassilis directed several theatre works on stage, with the Anti-Drontes Groups. In 2016 he was awarded by the Cyprus Theater Organization with the first prize for directing George’s Feydeau commedy “Hotel Paradise”. In 2017 he plans to direct the work of Dimitris Psathas “Fon Dimitrakis” and Aristophanes work “Women in Power”. He lives and works in Nicosia. Pandelis Diamantides |1978| is a sound and visual artist based in Amsterdam. 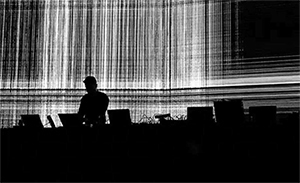 In his music productions and audiovisual performances, he uses custom digital technology to create complex binary landscapes, where detailed sound compositions and electronic rhythms are enhanced by multifaceted visuals providing a true immersive experience. He performs solo under the pseudonym Microseq. Through a series of collaborations with, among others, choreographer Lia Haraki and installation artists Matthias Oostrik and Nick Verstand he has composed and performed music for contemporary dance and interactive installations. In recent years, his work is presented at international festivals and venues including TodaysArt Festival[NL], FIBER Festival[NL], Mirage Festival[FR], Venice Biennale[IT], Bozar Museum[BE], The Vortex[UK], Kalamata International Dance Festival[GR], Loop Festival[CY], Amsterdam Dance Event [NL], Stedelijk Museum [NL], South By Southwest Festival [USA] and Leeds Digital Arts Festival (Lumen Prize) [UK]. 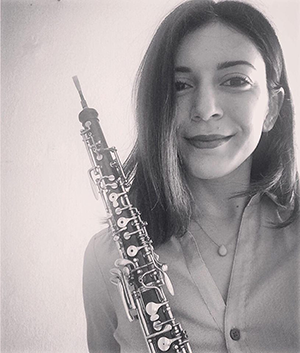 Anna Pediou is a current fourth year music student at the European University Cyprus studying the oboe with Natalie Neophytou. Three years after graduating “Marios Tokas” Music School – Limassol she was awarded with “Certificate of Higher Education” from Guildhall School of Music and Drama (2015), where she studied the oboe with Alison Teale and Gordon Hunt and the cor anglais with Jane Marshall. She was a member of the Cyprus Youth Symphony Orchestra (2012 – 2015) and she participated in numerous concerts in Cyprus and Constantinople. Her last performance with the Orchestra was with Marios Frangoulis and Deborah Myers where she played the first oboe and cor anglais part. In 2016, she started collaboration with Epilogi Cultural Movement, playing the oboe for some of the choir’s performances. Last performance in Pattichio Theater Limassol was conducted by Mr. Konstantinos Diminakis. Graduate student of BSM ( Bachelor of Music). Born in Nicosia 1990, grew in Nicosia, New York and Famagusta. Teacher in private music school from 2008. Studied jazz performing for 1 year in Athens- Greece. 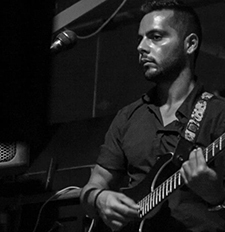 Experiences: teacher in special education school, pro performer guitarist and singer since 2004, performed in live concerts, private parties, festivals and took part in many music contests. The New Ballet Studio was founded in 1990 by Lisa Tsaggaridou, a ballet instructor and choreographer. She had set very high goals from the outset in regards to dance teaching and pedagogical approach. Her teaching staff, who are all experienced and qualified instructors, are always by the student’s side. They make sure they keep their personalities intact, appreciated and consistent. Education starts at the pre-school age and goes all the way up to university preparation. We strive for the right way of exercise, harmonic body shaping, discipline, communication, confidence, self-knowledge and spiritual evolution via their own, personalised teaching programmes and shows. Their long experience enables them to achieve all of these goals.